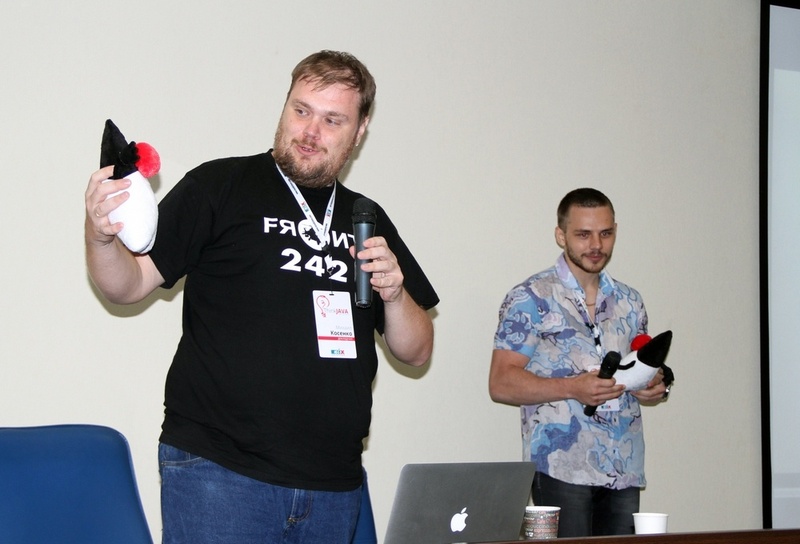 On Friday at sunset we convened the second meeting of ThinkJava Java-order. 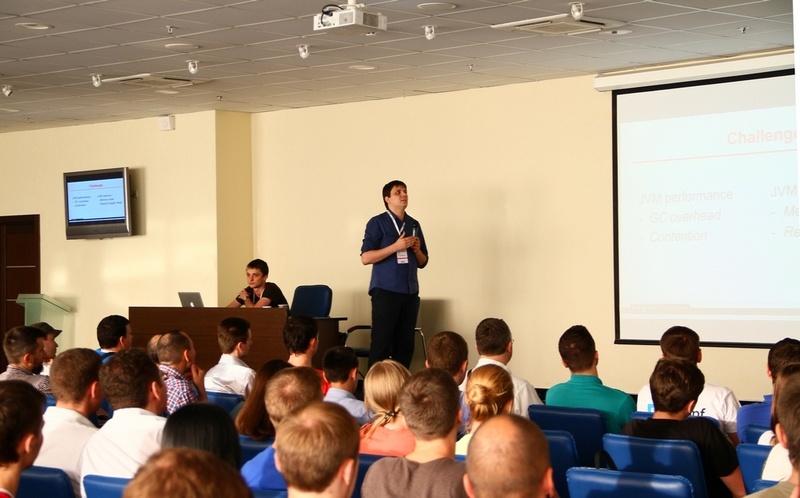 The representatives of all Java-guilds arrived at the conference-hall of “Metallist” SC to discuss the strategy of future battles in the world of Java Enterprise. 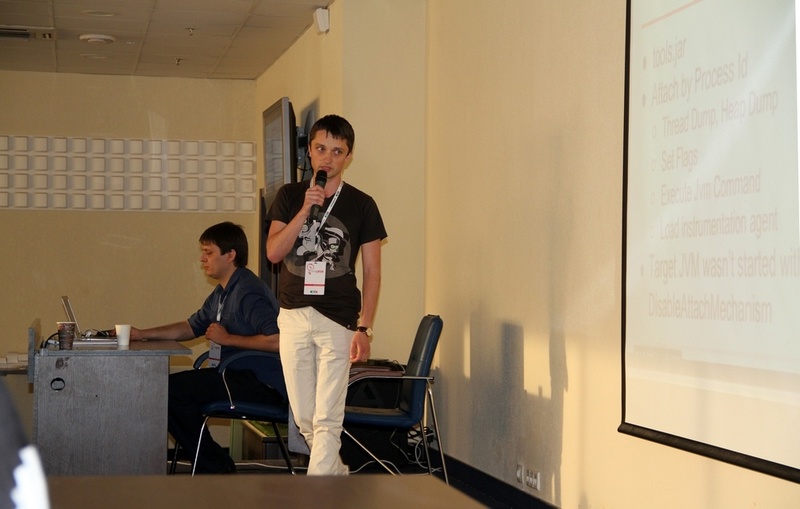 On Friday at sunset we convened the second meeting of ThinkJava Java-order :). 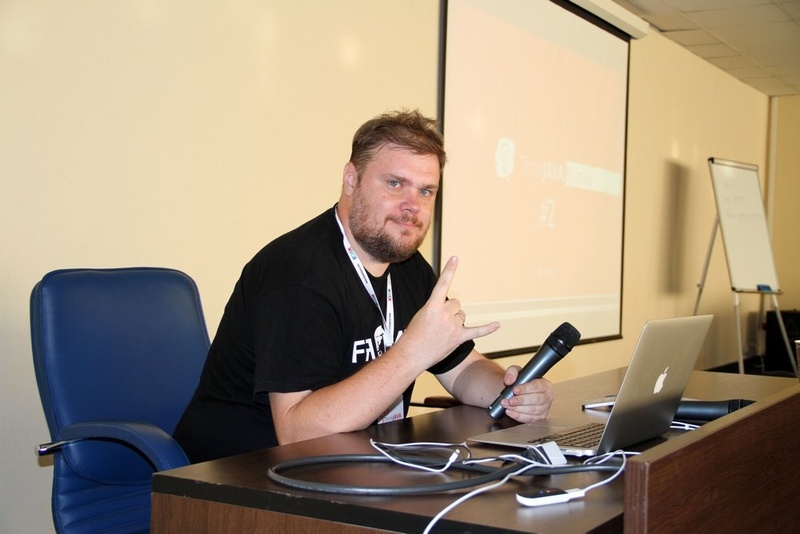 The representatives of all Java-guilds arrived at the conference-hall of “Metallist” SC to discuss the strategy of future battles in the bloody world of Java Enterprise. 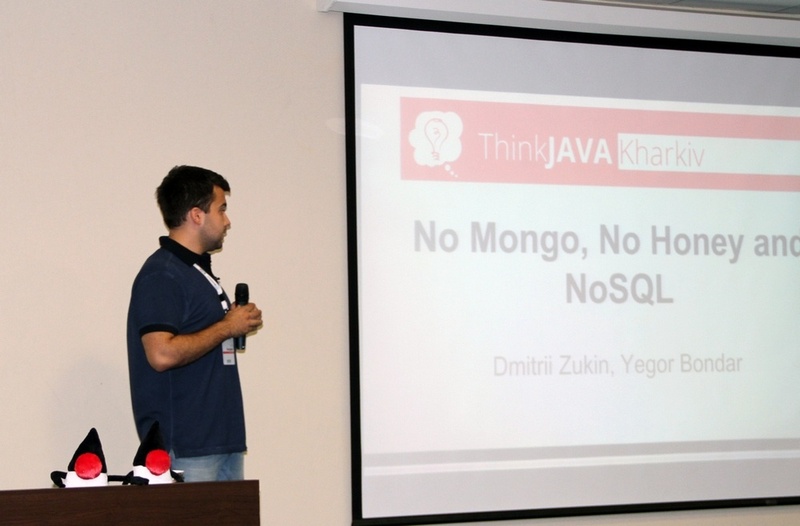 The light of knowledge was brought at ThinkJava #2 by two Java-duets – Roman Vasilenko & Alexandr Bondarets, as well as Dmitri Zyukin & Egor Bondar. 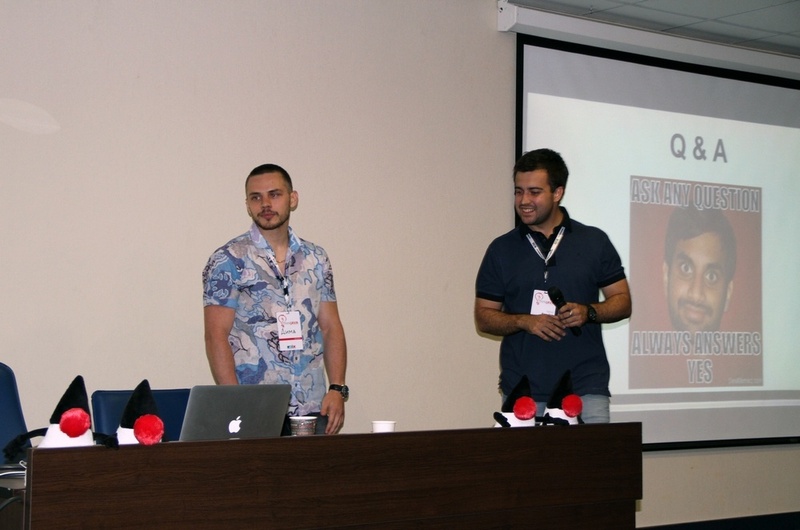 Roman and Alexandr shared their craft of barehanded debugging of Java-applications and told what to do if the problem was revealed at the production stage when the application cannot be stopped and how to fix the bug “on the fly”. 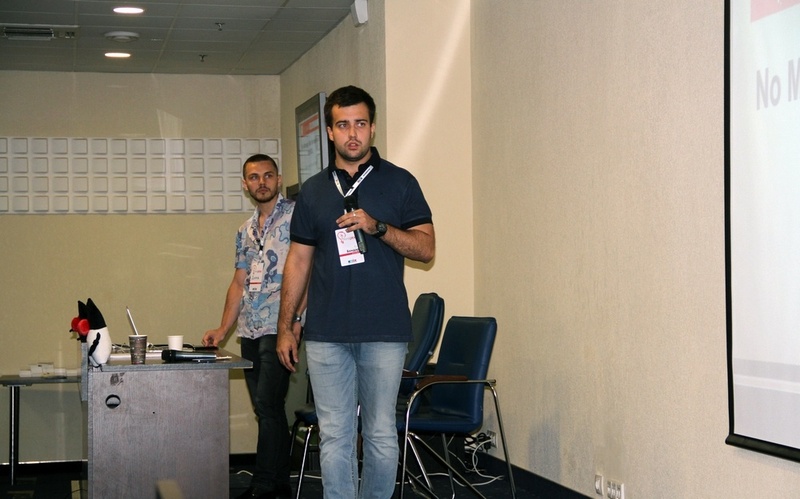 After the traditional coffee-break with a heated discussion of the report, Dmitri and Egor took the floor to tell about peculiarities of working with document-oriented NoSQL database — MongoDB and to demonstrate how it is applied in a real application with GMongo library. 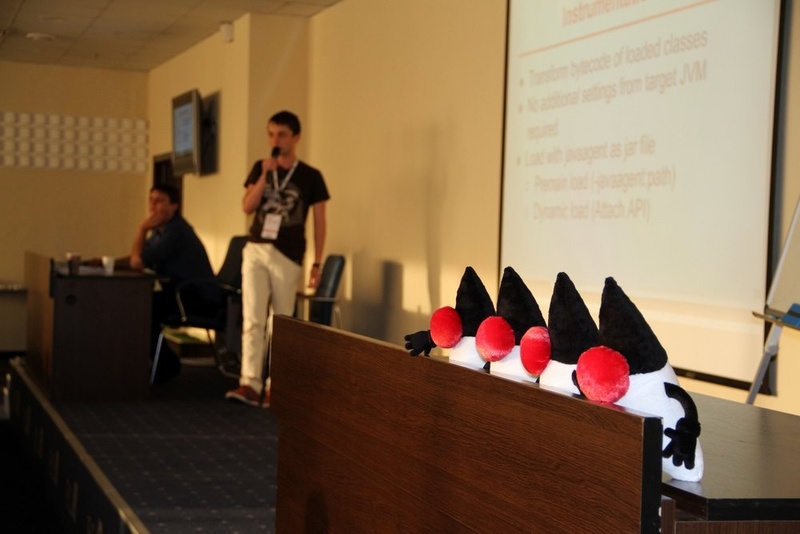 Our speakers received plush Dukes to keep as a remembrance of this Java-order’s meeting, and we’ve prepared special stickers for the guests. 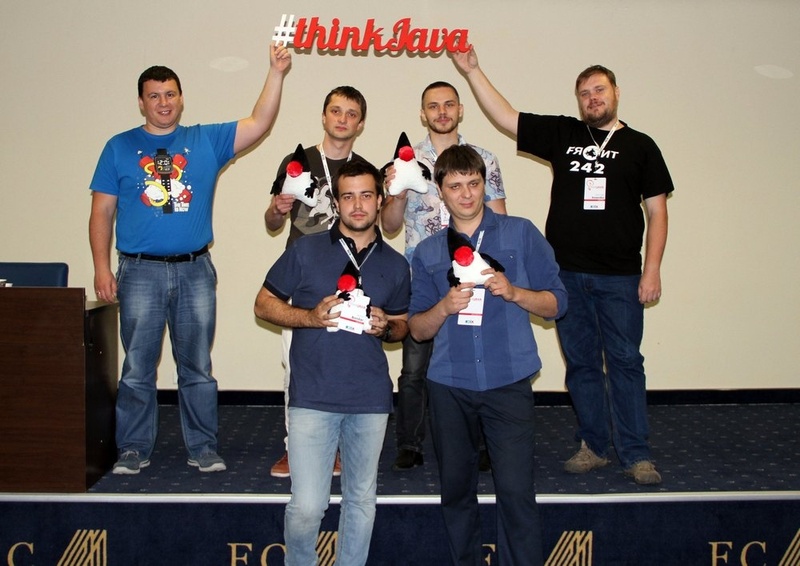 Our ThinkJava-community keeps growing and our meetings get more and more interesting. Stay tuned!